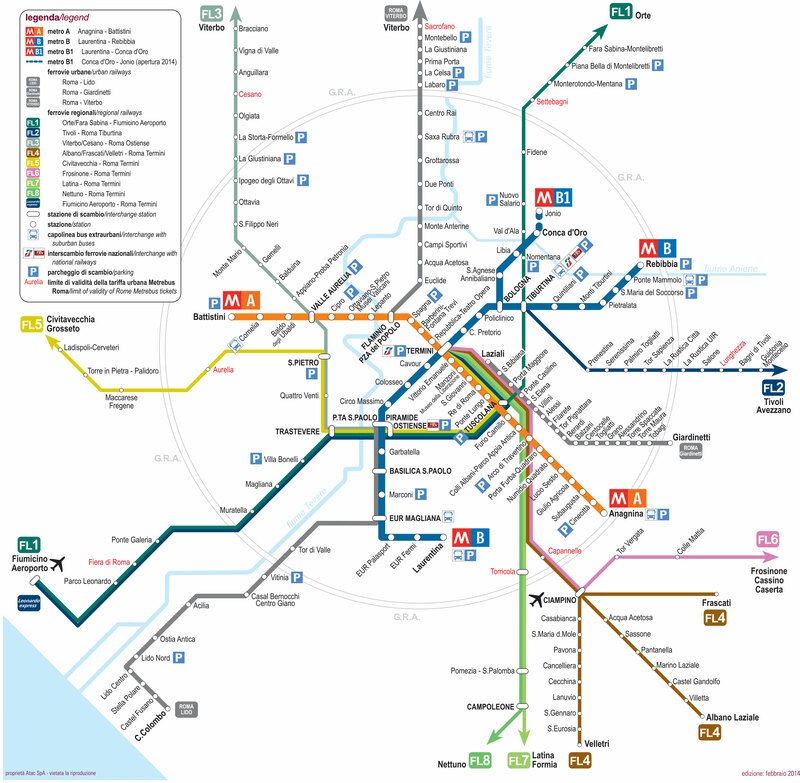 You can find on this page the map of Rome suburban train. The Rome urban, suburban & communter train is a transit system serving the city of Rome (Italy) with the subway, the tram, the bus or the night bus. The commuter train network has 8 lines and 128 stations forming a rail network of 418 miles (672 km) plus 4 rail special lines. Rome trains exist since 1994 and are operated by the Trenitalia and the ATAC (Azienda Tramvie ed Autobus del Comune di Roma) for 3 special lines.